I like beer. I like drinking it and I like the taste of beer. I also like writing the reviews as I'm drinking which has been atypical at best lately. 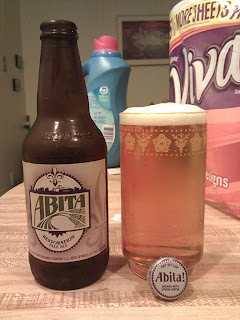 I talked about Abita Brewing Company here when I reviewed their Purple Haze a few moons ago. I was pretty stoked when I bought this sampler but found to much chagrin after a brief stint in Pennsylvania my Turbo Dog and Amber Ale had been drank, drunk. They were gone, long and short. But my Restoration Pale Ales were still intact. I got the variety pack for $15. 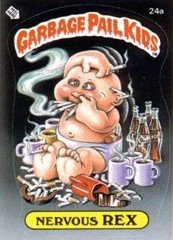 R.P.A. is a mix of Pale, Lager, and Pils malts hopped with Cascade and used California Ale yeast. This yields a IBU of 20 and an ABV of 5.0%. This has a sweet, citrusy smell with understones of an ash tray. Yeah. It's weird. It's not a bull blown ashtray scent but it smells a little smokey. The taste is very mild. This is one of the lightest tasting Pale Ales I've ever had. Slightly bitter and hoppy with no after taste. Wet, and leaves your taste buds quickly. If you are looking for a full bodied beer, this is not for you. This is a better beer if you are into lighter beers, like lagers or pilsners and trying to get into the pale ale realm; or splitting a case with your Bud Light buddy. I wouldn't pick this up again; but I love the bitterness of a pale ale. It's a nice, light beer, but I like a maltier, heavier pale ale.